Mock Wrap Midi Dress is rated 4.0 out of 5 by 5. Perfect to add to your LBD collection with this embellished lined mesh dress. 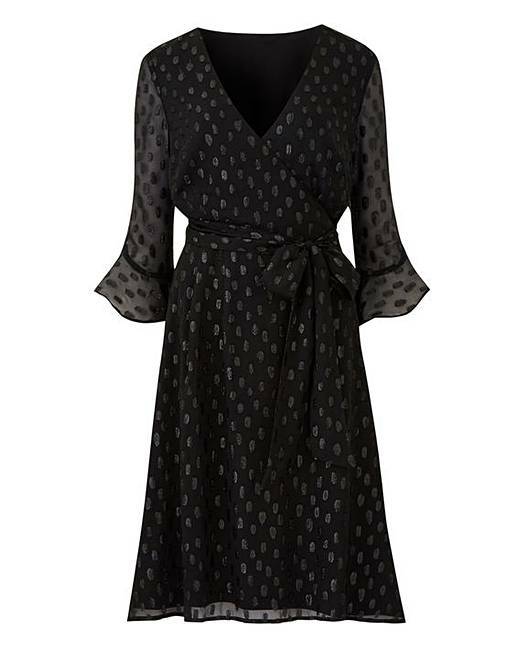 The lightweight mesh material has been embellished with glitter spots making it the perfect party dress this season. With flattering ruffled sleeves and a wrap front fit, you'll be sure to impress whatever the occassion is. We reccomend pairing with a core red statement shoe, or a new on-trend cobalt shade for that unforgettable look. Outer : Polyester. Lining : Polyester. 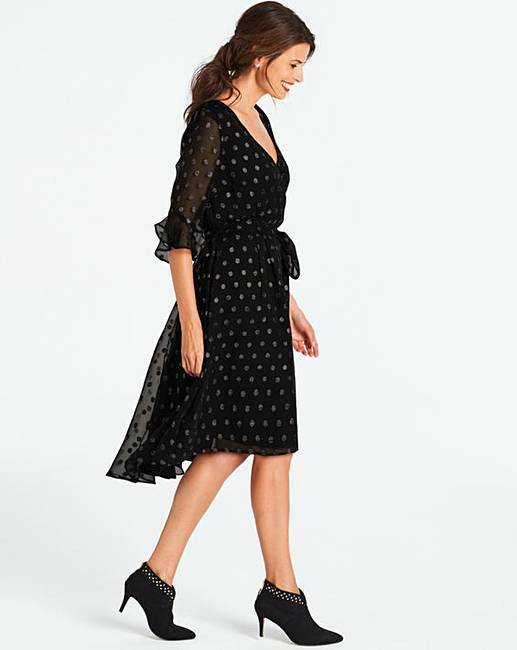 Rated 5 out of 5 by Sarah from Really nice fit I brought this dress for a work function and I was really pleased with the fit - not too tight but not overly loose and it sits knee-length at the front and just below the knee at the back which suited my height (5ft 4"). The fabric is also very soft and style is great. Rated 5 out of 5 by Hilly from Fabulous dress I bought the dress for a dinner. Very elegant and classy. Rated 5 out of 5 by Lolz from Stunning dress So happy with this purchase, added close up picture as sparkle can’t be seen well on model.